I am often asked what the difference is between a business coach and a business mentor. At WWCFDC I work as a business coach, helping business owners to strategically plan and develop their business. We often keep regular appointments to follow up and make sure the business is developing according to plan. We may also discuss obstacles to generating business and often address personal mental and emotional challenges the owner may be facing in pushing the business forward. 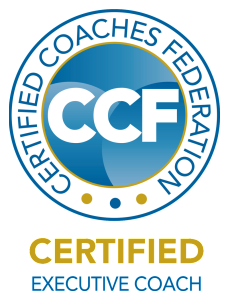 With years of experience and training around the coaching process, a business coach looks at the development of the business and the owner. The coach helps to keep the business owner focused and on track. Our WWCFDC business mentors are volunteer, experienced business professionals that have a keen desire to give back to their communities. They love the game of business and want to see other entrepreneurs succeed and prosper, bringing economic health to the rural communities. A meeting with one or more of our WWCFDC business mentors is generally more casual. The business owner brings one or two issues for discussion. They may just want some perspective and new ideas or need someone to bounce their thoughts off. This friendly meeting is a great way to generate new possibilities, allow business owners to think things through, and it creates a supportive relationship that a business owner can count on when things get hectic. But hey, business is a challenging game, why not have both a coach and a business mentor on your team. Contact me to discuss how you can get involved in our coaching and/ or mentorship program and give your business the structure and support it needs to grow strong and profitable.